Experience the vacation of a lifetime aboard a luxury, all-inclusive, professionally crewed catamaran sailing charter yacht in the Caribbean. These luxurious cats provide a fast, smooth sailing experience with the maximum comfort and space. Imagine anchoring in shallow areas, just a few feet away from the beach. Jump into just a few feet of water, where you find crystal clear bays and snorkel or swim up to your own private white sandy beach. Don’t forget gourmet dining and fresh cocktails, island hopping, outstanding game fishing, world-class dive sites and paradise every day of the year. 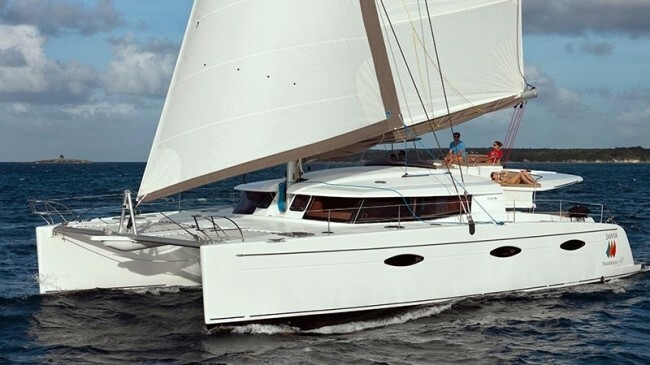 Catamaran sailing yacht vacations are perfect for anyone looking for a memorable tropic island getaway.